I have taught English literature, comparative literature and Korean literature at American universities, such as Penn State, UC Berkeley and BYU, for over six years. Whenever I have taught English or comparative literature, I have always tried to bridge the cultures of the East and West, through which I have enjoyed wonderful cultural interactions with my students. Whenever I have taught Korean literature at American universities, I have always been very impressed by my colleagues who are dedicated cultural ambassadors of Korea to America. I have been pleased to observe that my colleagues frequently sponsor various special lectures and events on Korean Studies, inviting celebrities as guest speakers that regularly bring large audiences. Indeed, these colleagues and speakers are largely responsible for significantly raising the profile of Korea overseas. Currently, I am lecturing at the University of Malaga, Spain, as a visiting professor. UMA is unique in the sense that it offers a specialization in Korean studies. There are no programs on Chinese or Japanese studies at the University of Malaga; it has a Korean studies program exclusively. The central library of UMA has a remarkably vast Korean collection room with thousands of Korean books. 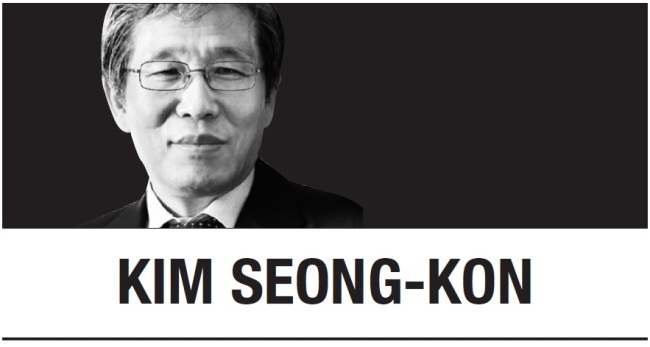 The Korean studies program at the University of Malaga is run by professor Antonio Domenech, who received the Order of Cultural Merit from the Korean government last year, and professor Eun-kyung Kang. They make a fine team with newly appointed professor Luis Botella and Patricia Morales, project manager of the UMA-ATECH bridge with the Korea Office. They have splendidly managed the capacious Korean studies program with approximately 200 students majoring in Korean literature, culture, and history. Each year, 50 freshmen are admitted to the Korean studies program, and each year about 60 UMA students visit Korea to study at Incheon National University as exchange students. Meanwhile, about 120 Korean students from INU also come to Malaga to study as exchange students at UMA every year. While discussing the career prospects of UMA students who major in Korean studies, I often seriously wonder, “What can we do for these students who love Korea and want to find jobs related to their passion for the country?” They are so very fond of Korea and are eager to learn about Korean culture, society, and history. Surely, these brilliant, enthusiastic students will become priceless assets for Korea in the future. It occurs to me that the Korean government has to encourage and support these emerging scholars who will definitely work for Korea and contribute to the enhancement of the relationship between Korea and Spain in the future. Looking into their inquisitive and affectionate eyes, I realize that Koreans are obliged to respond to these students who voluntarily come to us and become our friends. Indeed, we need to care about them, embrace them, and provide them with opportunities to work with us. Currently, LTI Korea, the Korea Foundation and the Academy of Korean Studies partially support the Korean studies program at UMA. In my opinion, however, we need to boost funds in an effort to strengthen the Korean studies program at UMA and to aid its expansion. There are many ways to help UMA’s Korean studies program. For example, the implementation of the Institute of Korean Studies is definitely a good idea because it would make university administrators aware of the importance of the Korean studies program while also playing the role of an important base for future scholars and professors of Korean studies in Spain. Recently, the Korea Foundation has supported the implementation of the Institute of Korean Studies at George Washington University and the Institute of Critical Korean Studies at the University of California, Irvine. Both have turned out to be tremendous successes. I think it would be a good idea to expand the reach of such programs to other major universities that have a strong Korean studies program, such as the University of Malaga in Spain. Our friendship with Spain is of particular importance. Spain and Korea have many things in common, and we often share the same sentiment. Besides, the global Spanish-speaking population is huge, considering those who live in South and Central America. Many Spanish students of Korean studies like and admire Korea very much. They take sides with Korea when there is a dispute, and wish us the best of luck. It is good to have good friends overseas. We should return the favor.